The Colt SAA is as popular today as it was in the past. This legendary revolver played an important role in the history of the American West. In this detailed volume, Editor Dave Scovill shares his knowledge of how to develop accurate loads for these fine guns and the skills needed to shoot them. 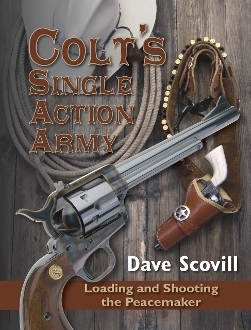 From the original first generation guns to the replicas that are available today, this book is the definitive source on reloading and shooting the Colt Peacemaker. This hard-bound edition contains over 200 fullcolor photographs and is a worthy addition to any sportman’s library.